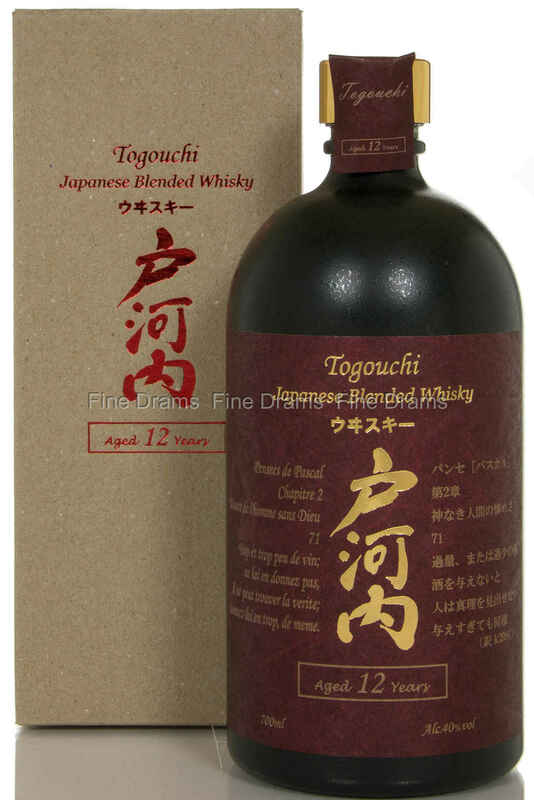 A 12 year old blended whisky from the Japanese producer, Chugoku Jozo, bottled for their Togoichi range. The malt whisky proportion of the blend is imported from some of the best distilleries in Scotland, and the grain whisky proportion is sourced from Canada. The whisky is then filled in carefully selected oak and left to mature in an old, abandoned railway tunnel.